First North Bay Village. Now the Western Venetian Islands. Commissioner Ricky Arriola’s musings about a potential annexation of North Bay Village caught the attention of fellow Commissioner Michael Góngora who was aware that residents of Biscayne Island and San Marco Island really do want us to take them over. What would this mean, roughly, to both jurisdictions from a revenue standpoint? Compass realtor Seth Feuer added up the assessed property values for us (taking into account homesteaded property values as we’re assuming they would remain homesteaded here). He came up with $167,983,566 in assessed property values on San Marco Island and $230,825,859 in taxable value for Biscayne Island. Using the City of Miami’s millage rate of 7.4365, a rough estimate is the two islands contribute almost $3m in annual property tax. [To calculate, you multiply the mill rate by the property value and divide by 1,000.] Using the City of Miami Beach’s millage rate of 5.7224, Miami Beach stands to gain roughly $2.3m in property taxes. Of course, there are service costs against those tax revenues, but that’s our back of the envelope calculation. And, yes, residents of the two islands would pay less in property taxes if they were part of Miami Beach, but all that we spoke with said that was not the driving force behind the petition. “If we’re talking about annexation,” Góngora said, "I think we should include these islands that have been seeking to be annexed for several years, rather than a hostile takeover” of North Bay Village. Fontani says the petition process picked up steam on San Marco Island where it was easier to go door-to-door in the single-family home neighborhood. Nearly 70% of the residents there have signed the petition. There is now a push to get residents of Biscayne Island to sign where homeowners are spread out among two condo buildings and single-family homes. Children are Miami Beach students but have non-resident status so they “suffer from non-priority registration (at ‘non-resident’ rates)” for programs at the Scott Rakow Recreation Center. “Our children are therefore often shut out from participating in after-school activities with their classmates,” the petition states. Incompatible zoning: Several residents who spoke with RE:MiamiBeach on background out of concern for retribution said the Miami 21 zoning which they fall under, is written for an urban setting. The same guidelines that apply to Wynwood and downtown Miami with smaller setbacks and less greenspace requirements apply to their residential neighborhoods. 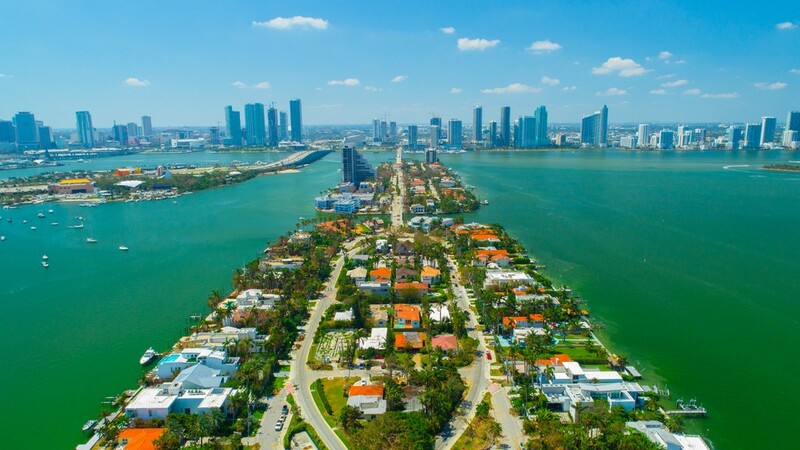 While Biscayne Island is a mix of single-family homes and the two condo buildings, San Marco Island contains only single-family residences as do most of the Venetian Islands. The petitioners want to share the same code requirements for setbacks and greenspace as the Miami Beach islands on the Venetian Causeway. There is also a complaint that the City of Miami is not enforcing zoning infractions or monitoring ongoing construction. Their biggest concern about becoming part of Miami Beach? The City’s ability to afford its initiatives to combat sea level rise.